Mimi's drink bleach moves have her moving on in pursuit of happiness that does not include romance with Stevie J. In a recent episode of Love & Hip-Hop Atlanta, Mimi Faust takes a shot at starting fresh with another Music Industry Producer, named Nikko. In light of his recent choice to feature Mimi as a classy looking, Video Girl in one of his latest projects, we are guessing, it is safe to assume that the chemistry is brewing between the two. 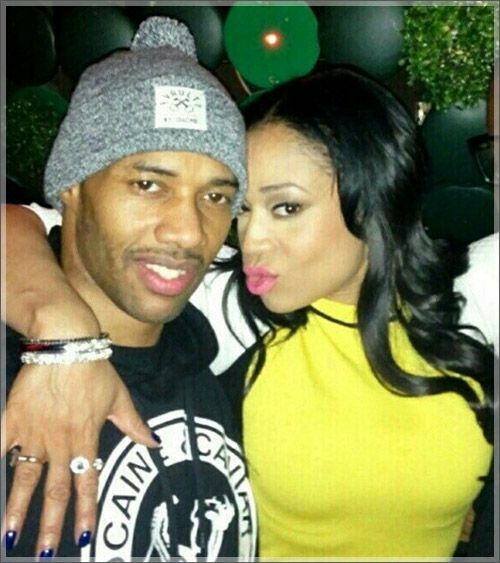 Take a look at Mimi and Nikko together. The video is rumored to be the fuel in the fire that is driving Stevie J's new strategy, to not only get paid, at any cost, but to possibly get Mimi Faust back on the bus he was always talking about during season one of the show. What has he done this time? Well, we think, he has pulled a real Brain move and all we keep seeing is this picture. 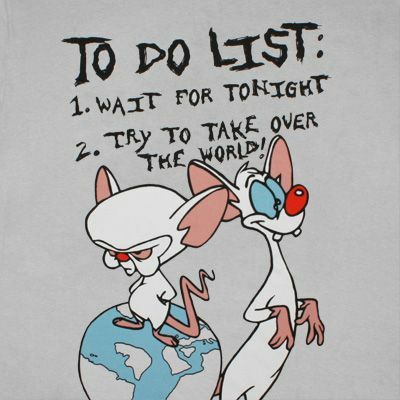 Brian is the animated character that always had something up his sleeve, a way to achieve his goal of taking over the world. Stevie J. has that same mentality and his web of lies and manipulation just keeps spinning out of control. It is likely that Stevie J. has used his so called beef with best buddy Benzino to his advantage, by possibly enlisting him on a Reality Tv mission that is ""My Beautiful Dark Twisted Fantasy" twisted. Benzino has released a video called Smash Da Homie on the hills of Nikko's NY 2 LA video which features Mimi Faust. In Benzino's video, he is Rapping, a cool surprise for fans. Except, there is a more twisted aspect to the video. It features a female who we believe is Joseline Hernandez. Yes, she is a site to see without all the make up. We don't care, and we are not surprised, she is use to doing just what she's doing in the video. It's her former profession. Our suspicion is that Stevie J. forced Joseline to do the video, claiming it would be good for her career. We do not think he had to do much convincing. Joseline's behavior on the show tells us that she was a very willing participant for two reasons. One, she is just nasty. Two, she is jealous of Mimi. The other very seeded thought is that she has realized that Stevie J. will forever be tied to Mimi emotionally. Mimi has been around for 15 years! She is aware of all of Stevie J's craziness, the things that probably make him great. Plus, Joseline probably couldn't stand the fact that Mimi would be out shining her with all the media attention she'd get from her cameo in NY 2 LA. Yes, their behavior seems so bad, but hey it looks like it may work for them, in some odd way. Stevie J. will not admit that he is still in deep emotionally with Mimi Faust. He does not have to say a word; his actions are speaking louder than his words! The actions surrounding the cast of Love & Hip-Hop Atlanta are mouth gaping but not surprising. Remember, the Hollywood/Entertainment world is very different from our own reality. They look at everything from an entertainment and finance perspective. This is how these people make their living! Do you recall the Destiny's Child Lap dances on stage? What about all the Hollywood Movies with the heavy romance scenes. Their normal is very different from everyone outside of the industry. We want to leave you with a different picture to focus on, one we are liking very much, so take look at Mimi playing her position with the fellows. Check out the NY 2 LA Video. There is one more thing that we have to admit. Benzino's bars and the overall sound of his video were tight and there was a romantic side to it, if you think about Mimi and Stevie J. It was just too twisted! Tags: reality tv mimifaust stevie j.